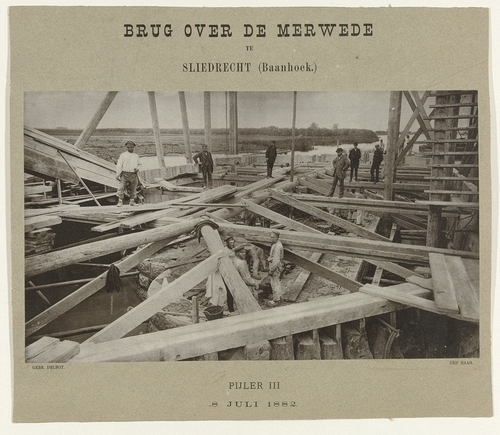 In the second half of the 19th century, the Delboy brothers from The Hague recorded the construction of countless bridges, locks, railway tracks and canals throughout the Netherlands. What is interesting about this image is how close the photographers were to their subject – in the 19th century, photographers usually stood farther away from building activities. The brothers were evidently more interested in capturing the exciting perspective than in rendering reality accurately.